Cancer is one of the deadliest diseases of all time. It has affectrd millions and millions of people all over the world. Blame it on your genes or lifestyle habits, the truth is that it is not easy to fight against cancer. Cancer is the abnormal growth of cells, and there are various types of cancer. The most common types of cancer in men include lung, esophagus, stomach, oral and pharyngeal cancer; and in women, cervix and breast cancer. Of course, with advancements in medical treatments, there are various therapies available but not all come free of side effects. US scientists have discovered a chemical in pepper plant (long pepper) called Piperlongumine (PL) that is found to have anti-cancer properties. It has shown activity against many cancers including prostate, breast, lung, colon, lymphoma, leukemia, primary brain tumours and gastric cancer. Using X-Ray crystallography, the researchers were able to create molecular structures that showed how the chemical is transformed after being ingested. 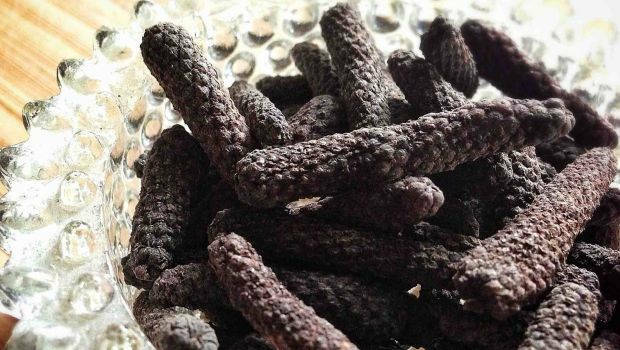 Long pepper, commonly found in India, is used as a spice. "Pippali is an important drug in Ayurveda. It is said to be a powerful Rasayana. Substances that have Rasayana property can work as immunomodulators, help in regeneration of cells and organs and also can work at the level of the genes," Director-Research Dr. Ram Manohar from Amrita School of Ayurveda in Kerala told Indian Science Journal. Some precautions have to be taken to help the body to withstand the strong action of drug. This procedure of administration is called Vardhamana Pippali Rasayana. 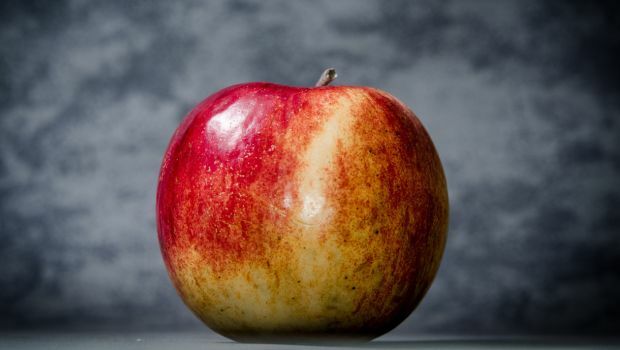 Apple contains quercetin, epicatechin, anthocyanins and triterpenoids which have anti-inflammatory and antioxidant properties that help to lower the risk of cancer specifically colorectal cancer. The apple peel is the most nutritious as the majority of Quercetin (80%) is found in it. Other cancers in which apples are known to heal are lungs, breast and stomach. 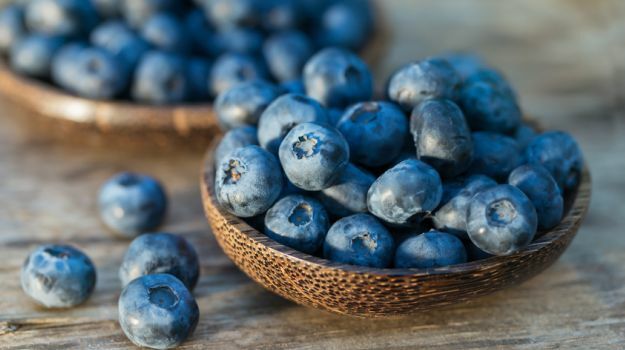 Blueberries have great antioxidant power, due to the presence of many phytochemicals and flavonoids like Anthocyanins, Ellagic acid and Urolithin. These are known to decrease free radical damage to DNA that leads to cancer. They also decrease the growth and stimulate self-destruction of mouth, breast, colon and prostate cancer cells. 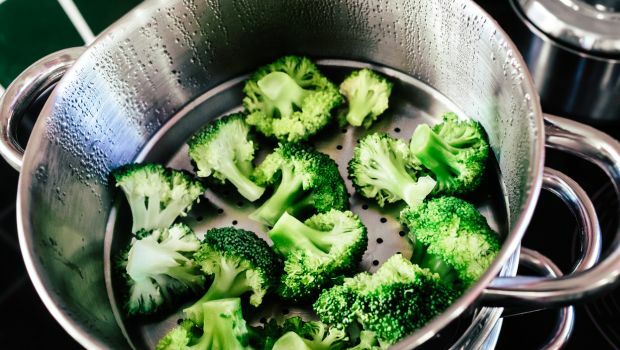 The Glucosinolates present in them is converted into isothiocyanates and indoles on consumption, which decreases inflammation, one of the risk factors of cancer. Beta-carotene promotes cell communication that helps control abnormal cell growth. 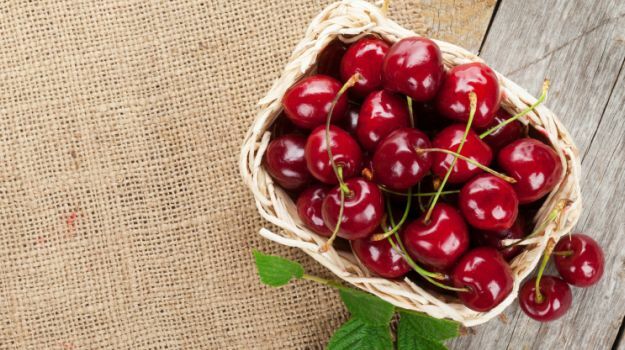 Both sweet and tart cherries are a good source of fiber, vitamin C, and potassium. The dark red colour comes from anthocyanins, which are antioxidants. 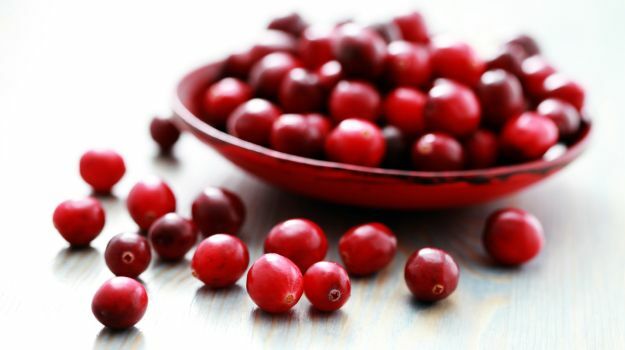 They are high on dietary fiber and vitamin C. They're very high in antioxidant power, most of which comes from phytochemicals like anthocyanins, proanthocyanidins and flavonols, ursolic acid, benzoic acid and hydroxycinnamic acid. Proanthocyanidins and ursolic acid decrease growth and increase self-destruction of several types of cancer in cell studies. An 18th century hybrid of the pummelo and sweet orange. It is grown mainly in the Americas. Its name derives from the fruit's appearance as it grows: grape-like clusters on trees. 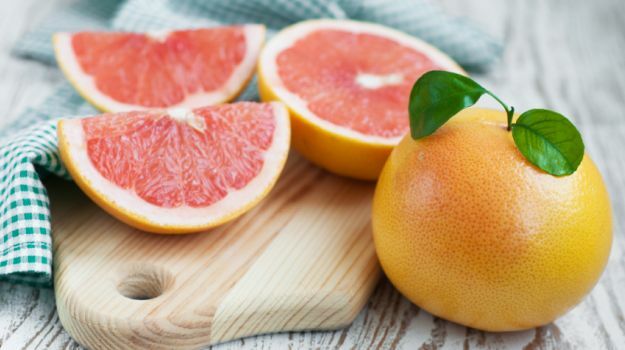 Grapefruit contains these naringenin and other flavonoids like limonin and other limonoids, beta-carotene and lycopene (pink and red varieties). Foods containing lycopene lower the risk of prostate cancer. Since ancient times, tea has been used as both beverage and medicine. Both black and green teas contain numerous active ingredients, including polyphenols and flavonoids, which are potent antioxidants. 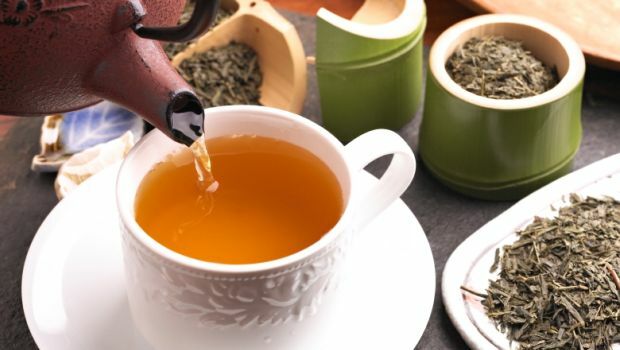 One class of flavonoids called catechins has recently become the focus of widespread study for their anti-cancer potential. Tea is the best source of catechins in the human diet, and green tea contains about three times the quantity of catechins found in black tea. In laboratory studies, green tea has been shown to slow or completely prevent cancer development in colon, liver, breast and prostate cells. Other studies involving green tea have shown similar protective effects in tissues of the lung, skin and digestive tract. 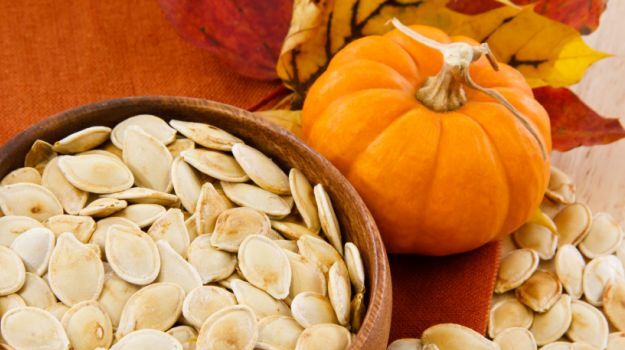 They contain Alpha and Beta carotene which is converted to Vitamin A inside the body. The yellow pigmented lutein, zeaxanthin helps to filter high energy ultra violet rays that can damage our eye's lens and retina. Lab studies suggest that dietary intake decreases the chances of skin cancer related to exposure from sun. 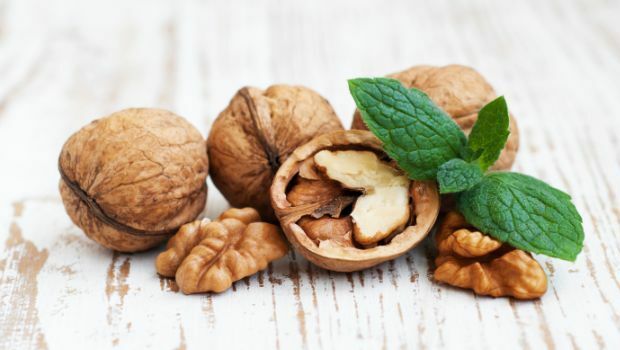 The major actives found in walnut are - Elligtannins, Gamma-tocopherol, Alpha-linolenic acid, phytosterols and Melatonin. Laboratory studies show that consuming walnuts helps in breast cancer, colon tumor and prostate cancer. The studies also show decreased damage to DNA by regular consumption of walnut.